I don’t know if this really counts as a “grocery store” lesson as I have yet to see this product in a grocery store. Regardless, this Sexcereal has to be seen to be believed. 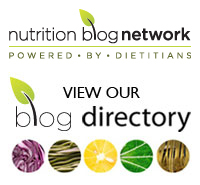 When I first heard about it (thanks to my friend and fellow dietitian Mark McGill), I thought it was simply cereal that had been formulated for men and women based on their nutritional needs. Seems reasonable, as they are somewhat different. However, looking at the ingredient lists of the respective cereals I see that this is not the case. The men’s cereal contains: bee pollen, black sesame, wheat germ, camu camu, maca, pumpkin seeds, chia seeds, goji berries, cacao nibs, and oats. The women’s cereal contains: maca, cranberries, cacao nibs, sunflower, chia seeds, almonds, flax seeds, oat bran, ginger, and oats. Very similar formulations which are going to provide very similar nutrients. This cereal, not only claims to be specifically formulated for men and women to meet their nutritional needs. It also claims to serve to improve sexual health. While some of the ingredients are purported to improve hormones and libido, even if they actually do so it’s unlikely that the small quantity of each of these in one serving (3 tablespoons) would have much, if any effect. I also have trouble taking a company seriously when they have errors on their website. Yeah, I know, sometimes I have typos on my blog. But… I’m the sole contributor and I’m not selling anything here. If I were, I would have multiple edits and professionals ensuring that everything was perfected. Check the ingredient page to see for yourself. How exactly this cereal is “not a granola” is a little lost on me. I’ve never heard the oat ratio before (70% oats or more makes a food product a granola apparently). And how does having less oats make sexcereal more of a “whole” food. It doesn’t. 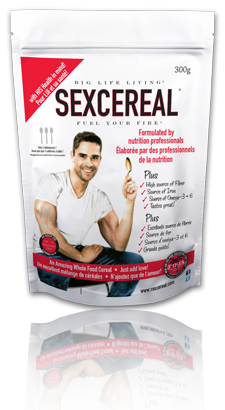 There’s nothing wrong with sexcereal. It seems to be a perfectly healthy food. It’s the marketing that leaves a bad taste in my mouth. Tags: grocery store lessons, marketing, nutrition, sexcereal | Permalink. I’ve seen this at a specialty grocer here in Calgary, so yes, this product does exist!